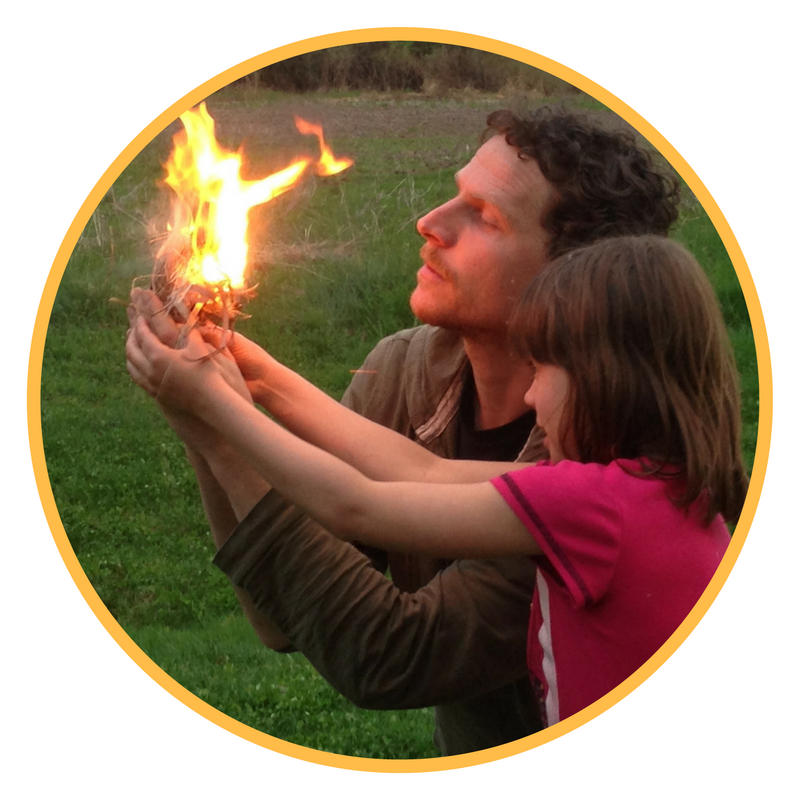 Enjoy a weekend spent off-grid learning one of humans most innate skills, making fire. What was once a vital technique for keeping us alive, is now seen as a fringe skill geared for preppers and survivalists. During your time spent at Three Lily Farm, we will demystify friction fire, as we utilize the forest to build your own bow or hand drill kit. With a better understanding of creating fire, we will also share a variety of techniques for cooking with fire. Our hope is to help you more easily engage in this primitive act and use it to create wholesome, delicious food. at Three Lily Farm in Midcoast Maine. 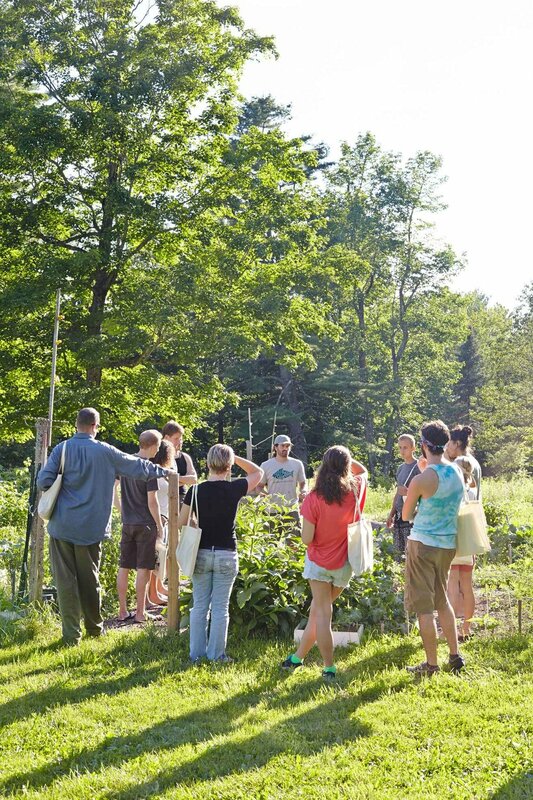 The Fire & Earth retreat is geared towards helping people connect more deeply with the landscape, while enjoying delicious, nourishing cuisine, meeting new people from across the globe, and taking a break from the day-to-day hustle. We are an off-grid homestead located on 26 acres in midcoast Maine. 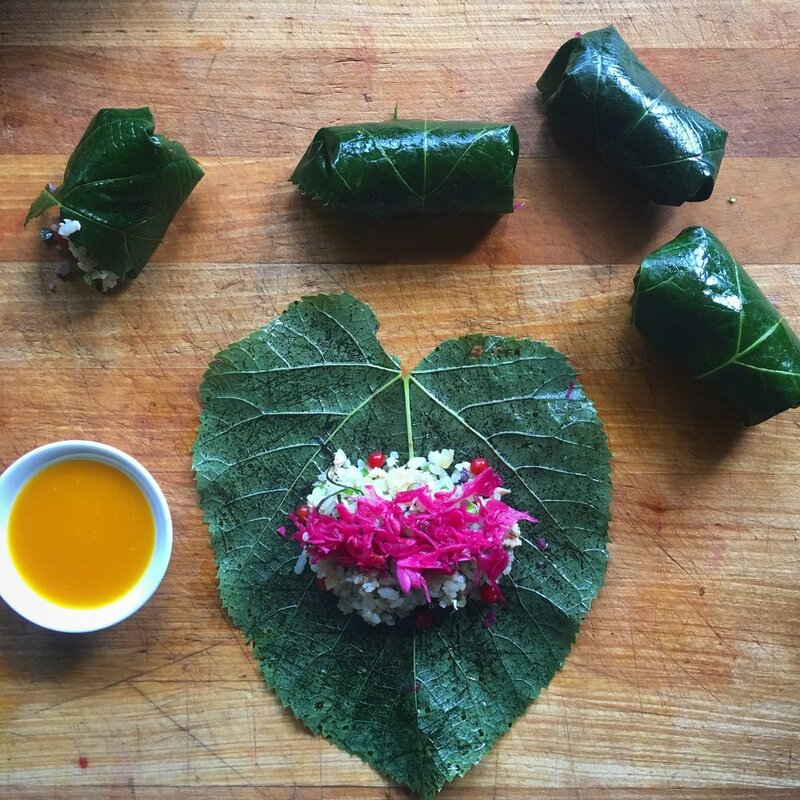 Our goal is is to provide a space where we can reconnect, while learning traditional skills both in and outside of the kitchen. Friday ~ We start welcoming guests around 1 pm and will kick things off with an opening circle around 5 pm. Following introductions, we will share a meal together before getting cozy and kicking off the weekend with a presentation from Elliot and Frank. Guests are welcome to hang by the fire into the night as they wish, hopefully soaking up a star filled night. Saturday ~ Warm beverages and silky smoothies will be offered early in the morning before starting off the day with a bit of movement led by Elliot. Following up with a hardy breakfast spread as we go through the plans for the day. Elliot will then lead students into the fire making kit as Frank sets up the hearth for cooking and demoes. Lunch will be followed by chill time to enjoy the pond and afternoon sun. More classes continue into the day before breaking for dinner and dessert. Fireside chats an fun beverages will take us into the night. Sunday ~ Our last day together will start once again with coffee and smoothies before another movement session with Elliot. We will continue and finish up our bow drill kit during the morning before our final meal together and closing circle. This retreat will first focus on creating a friction fire tool kit to properly start fires without the use of modern gadgets. Secondly, understanding how to build a fire and properly cook over open fire in a variety of ways. Join Elliot & Frank to have a better understanding of making fire, maintaining it for cooking, and understanding the variety of techniques one can use to cook over a fire. Learn how to identify which species of trees are best for creating a friction fire tool kit and create your own kit to bring home with you. Explore techniques to cook over an open fire and experience creating the meals yourself along with Chef Frank & Elliot. Born and raised along the Connecticut shoreline, Frank Giglio began his culinary career at the age of 15, when he first stepped into a professional kitchen. With a desire to learn more and deepen his skills , he headed north to the New England Culinary Institute in Montpelier, VT. After completing apprenticeships in Portland, OR and Boston, Frank spent the next few years cooking his way across the country, making it as far west as Alaska, where he learned to cook wild game like wild salmon, moose, king crab, and elk. In 2003, Frank felt the call to leave the restaurant scene and begin his journey into "natural foods". For the next 4 years, he taught himself to prepare a wide variety of vegetarian, vegan, and diet specific meals in a small kitchen located inside FoodWorks in Guilford, CT. During this time, Frank would attend the Institute for Integrative Nutrition in NYC. 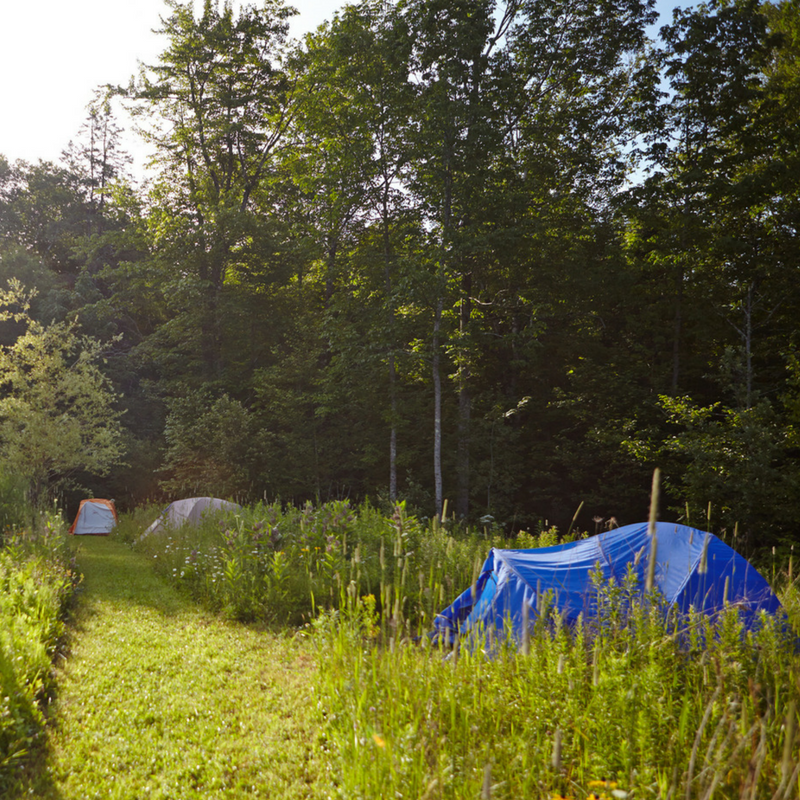 Years would pass with Frank honing his skills in Arizona, British Columbia, Bali, and New Hampshire, before meeting his wife Camille, purchasing an off-the-grid home in Maine and starting a family. A big advocate for wild and locally sourced ingredients, Frank teaches cooking classes and caters throughout the state of Maine and beyond. 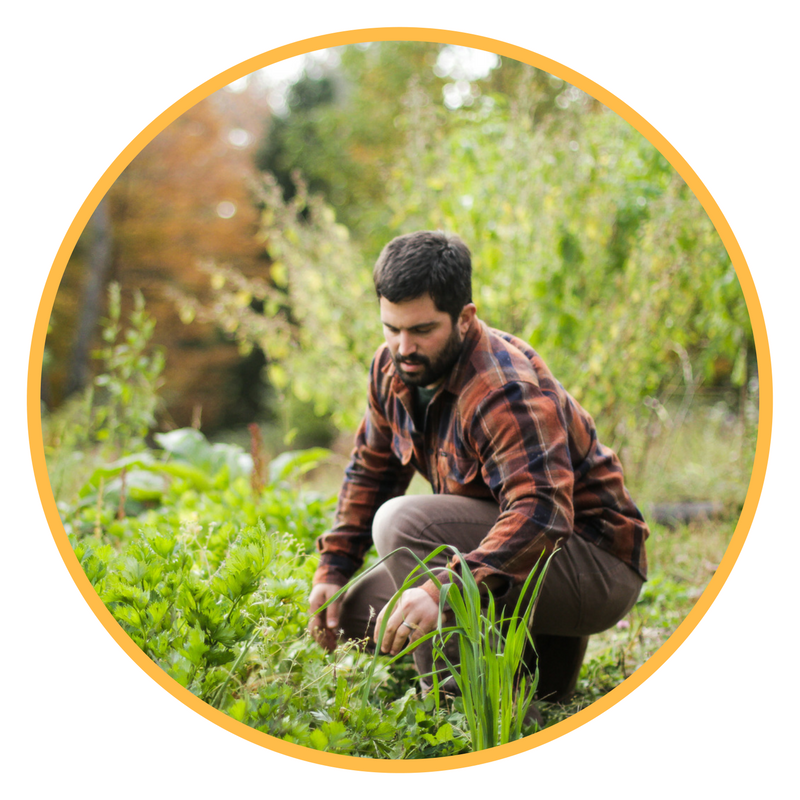 He recently became the kitchen manager for neighboring MOFGA (Maine Organic Farmers & Gardeners Association) and a local chapter leader for the Weston A. Price Foundation. Giglio's adventurous culinary offerings have been showcased throughout the health community as Frank is the featured chef for NY Times Best-Selling Dr. Alejandro Junger’s Clean Eats cookbook. Elliot Cluba is the owner and founder of Herbs and Arrows, which opens doors into the education of skills such as wildcrafting, culinary and herbal alchemy, tool and weapon making, naturalist studies, animal tracking, and martial arts. He lives with his wife and two children in the Lake Champlain valley of Vermont.